We cannot recommend Scott Daniel Photography highly enough! 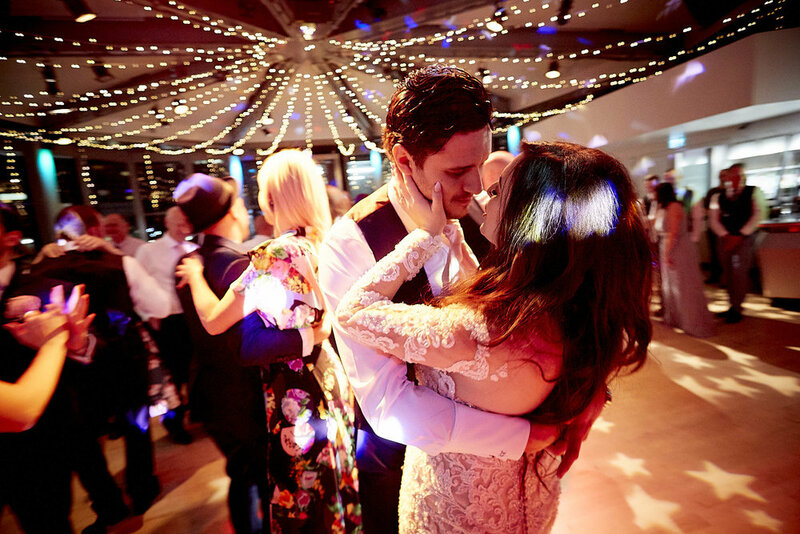 Right from the word go, nothing was too much trouble and we knew we were in safe hands; as soon as we had our first meeting at the wedding venue Scott completely understood our vision. There were constant check-ins along the way during the build up to the wedding that made us feel completely at ease and removed all stress from the situation. When the big day arrived, Scott was fully prepared and ready for action; he blended in to the crowd and you would not have known he was even there. He went about his business with a high level of professionalism and yet still had time to enjoy proceedings and have a laugh. When the photographs arrived, we could not have been happier... we were absolutely blown away by the quality and beauty of the set. Scott has captured the feeling of the day and delivered on the brief perfectly. The photographs were amazing, the service was amazing, Scott was amazing; he was vital in making it the best day of our lives and we will be recommending him to anyone that will listen. We hired Scott to photograph our wedding in October 2018 and would highly recommend him. We had lots of communication with him before hand and felt like he really took the time to understand us and what we wanted for the big day as well as family set ups and names for everyone. This really helped as he blended in seamlessly to the day and as a result got so many amazing pictures as well as capturing all the candid shots of the things you miss being the bride and groom. It felt like he captured the day perfectly and was so easy and flexible. The shots of all our family and friends were beautiful as well the ones of the ceremony and evening reception. If you want a photographer that takes the time to get to know you and gets beautiful intimate shots of your day, then this is your man! Highly recommend him to anyone! I've been to a fair few weddings where the photographer lurks sullenly in a corner capturing Instagrammable shots of the couple with aching, Disney-smile faces and waits for the moment they've shot the first dance and can bugger off home. This was not the experience we had with Scott. He brought his years of commercial experience to the game to capture moments you didn't even know had happened and to make you feel so at home with the camera you might as well have just been on tour with Beyoncé. I adore our wedding pictures (and from someone who cringes at anything lovey-dovey that's saying something). Thanks, Scott – you made our day! We were lucky enough to have Scott photograph our Indian wedding. Of course I’ve never had an Indian wedding before so having a camera in my face was one of my worries for the big day. Scott arrived in plenty of time and ready to go despite having to travel 100 miles for an 8am start. As soon as he started snapping away I was put at ease and didn’t feel worried about my posture or facial expression. For somebody that doesn’t like photos, I found it quite enjoyable! With all the family drama and general Indian drama going on around me, the photographs were one thing i knew I didn’t need to worry about. Watching Scott work the crowd I trusted he would capture portrait and documentary style images that we wanted. We are both so happy with the final set of pictures. He captured my grandmother’s necklace in such a way I’ll treasure the picture always. 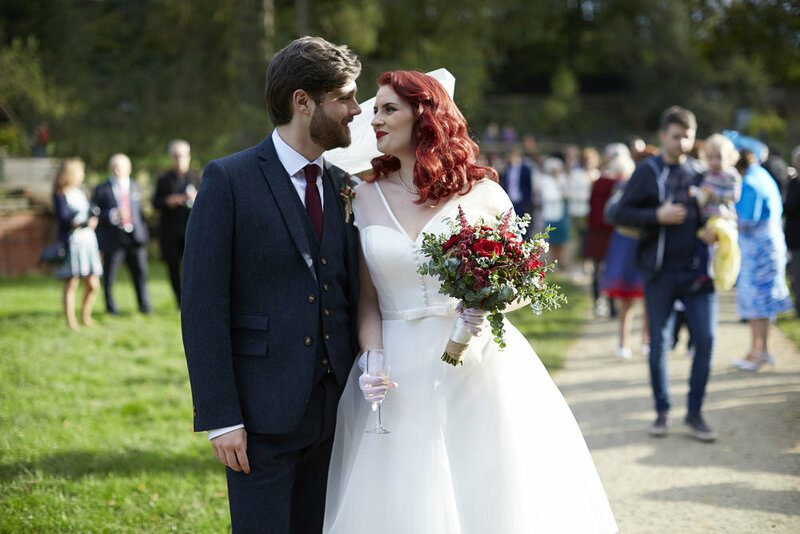 Scott photographed our wedding at Quarry Bank in October 2017. He did a fantastic job getting all the formal pictures we wanted, as well as capturing guests in perfect, spontaneous moments. His fluent, reportage style was ideal for our wedding, as it meant nobody felt on the spot or under pressure to smile artificially. Scott has a sharp eye for picking just the right image, and a wonderful way with guests, getting them just where he wanted them. Everyone had a good word to say about Scott and guests who didn't know they'd been snapped at the time were delighted with his pictures. Choose Scott as your wedding photographer and you'll be getting someone who listens to your needs and adapts well to new suggestions. We want to thank him for capturing our wedding day in the joyful spirit it deserved and for delivering a professional, well-priced service that we'd recommend to anyone.